AlmieThis might be utfg question, but I dont really know where to look for HUD info, so could someone please tell me where to find settings for the heal/damage text? Fozzlm N1ghTScoreboard.res under "Scores" entry there should be "name_width", "score_width", and "ping_width" and change the values to something like "9999". Thanks, I ended up doing that just before I read this post. barney_burgerbeansHow is it, or is it even possible to make an image panel change color based on team? I've seen some code in places that would indicate there's some sort of "if_" line for this, but just by emulating that I can't get it work. 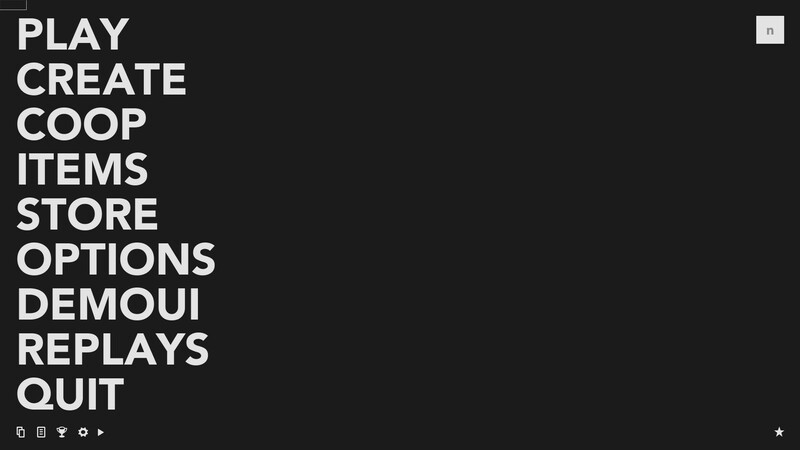 How do I add text to a tooltip for the main menu? Not a tooltip title, but some subtext. what do I have to add here? Which file do I go to to edit the health numbers that was changed a couple of updates ago which are now on top of the player's head instead of next to the name? Sorry if this question has been asked before I didn't see it. fyrWhich file do I go to to edit the health numbers that was changed a couple of updates ago which are now on top of the player's head instead of next to the name? Sorry if this question has been asked before I didn't see it. If you're asking how to move it, it is controlled by the command tf_hud_target_id_disable_floating_health. If you're asking how to edit the actual health, the file is resource/ui/SpectatorGUIHealth.res. If you're asking how to move it, it is controlled by the command [i]tf_hud_target_id_disable_floating_health[/i]. If you're asking how to edit the actual health, the file is [i]resource/ui/SpectatorGUIHealth.res[/i]. anyways, anyone knows what the 2 [unknown] things are supposed to be ? its the old garm3n rex hud and i guess at least one of them should be the dmg number, but i dont know how to activate them. also tried disquse hud fix but didnt help. I guess it was asked before, but how do I remove this box in the top left? PhantomyoI guess it was asked before, but how do I remove this box in the top left? No idea if this works, haven't tested it myself. [quote=Phantomyo]I guess it was asked before, but how do I remove this box in the top left? N1ghT PhantomyoI guess it was asked before, but how do I remove this box in the top left? [quote=N1ghT][quote=Phantomyo]I guess it was asked before, but how do I remove this box in the top left? Thanks my man, I fixed it. hello, so i created an image panel for a custom image in MainMenuOverride.res, but I want it to only show on the main menu and not on the ingame menu. Anyone know how to do it? devamar_10hello, so i created an image panel for a custom image in MainMenuOverride.res, but I want it to only show on the main menu and not on the ingame menu. It is controlled by lines in Gamemenu.res. [quote=devamar_10]hello, so i created an image panel for a custom image in MainMenuOverride.res, but I want it to only show on the main menu and not on the ingame menu. [/quote] It is controlled by lines in Gamemenu.res. NoFap devamar_10hello, so i created an image panel for a custom image in MainMenuOverride.res, but I want it to only show on the main menu and not on the ingame menu. It is controlled by lines in Gamemenu.res. But it still shows up ingame, I also tried making it an imagebutton but it still shows up ingame. Any ideas why? [quote=NoFap][quote=devamar_10]hello, so i created an image panel for a custom image in MainMenuOverride.res, but I want it to only show on the main menu and not on the ingame menu. [/quote] It is controlled by lines in Gamemenu.res. Hey, I got a question I have been working on for at least 3 hrs trying to get working so I decided to ask. How would one go about moving the individual status boxes for each of the engi's buildings? I'm trying to get them in a horizontal row at the top near the timer with sentry and dispenser of left, and teleporter pair on right. However the thing is even though I can move them as a group with the BuildingStatus_Engineer block in the hudlayout.res I need a way to separate them so that they are all on the same horizontal level. The problem is no matter what coordinates I change in the hud_obj_(buildingname).res files, they don't want to move at all. LuigiHey, I got a question I have been working on for at least 3 hrs trying to get working so I decided to ask. [quote=Luigi]Hey, I got a question I have been working on for at least 3 hrs trying to get working so I decided to ask. Anyone know where to edit this? 1) Everything stays in place and it looks like the default does as the BuildingStatusItem frame which contains all the sub items refuses to move its current position, even when trying outrageous values in the thousands just to get it to move. How would I go about removing everything from the player hud besides the killfeed? deszaHow would I go about removing everything from the player hud besides the killfeed? Presuming you mean all hud elements including health and ammo, then one of the easiest ways is just to set the visable and enabled fields of each hud element to 0 in the hudlayout.res, that will take care of a lot of things, but some others (like health and some others) you may to go into their .res files and disable them. In the rare case that a part of a hud dosent want to go away with the above solution and is being stubborn, setting them to a tall and width of 0 or setting x&y position to 9999 will work also. HOWEVER, THIS IS HIGHLY NOT RECOMENDED! YOU NEED THE BASIC HUD ELEMENTS TO AT LEAST PROPERLY PLAY THE GAME. Luigi deszaHow would I go about removing everything from the player hud besides the killfeed? Presuming you mean all hud elements including health and ammo, then one of the easiest ways is just to set the visable and enabled fields of each hud element to 0 in the hudlayout.res, that will take care of a lot of things, but some others (like health and some others) you may to go into their .res files and disable them. In the rare case that a part of a hud dosent want to go away with the above solution and is being stubborn, setting them to a tall and width of 0 or setting x&y position to 9999 will work also. Thanks this helped a bit. And yes, I'm aware the game would be unplayable in this state. I'm just editing a version of yahud for making frag videos. desza Luigi deszaHow would I go about removing everything from the player hud besides the killfeed? Presuming you mean all hud elements including health and ammo, then one of the easiest ways is just to set the visable and enabled fields of each hud element to 0 in the hudlayout.res, that will take care of a lot of things, but some others (like health and some others) you may to go into their .res files and disable them. In the rare case that a part of a hud dosent want to go away with the above solution and is being stubborn, setting them to a tall and width of 0 or setting x&y position to 9999 will work also. 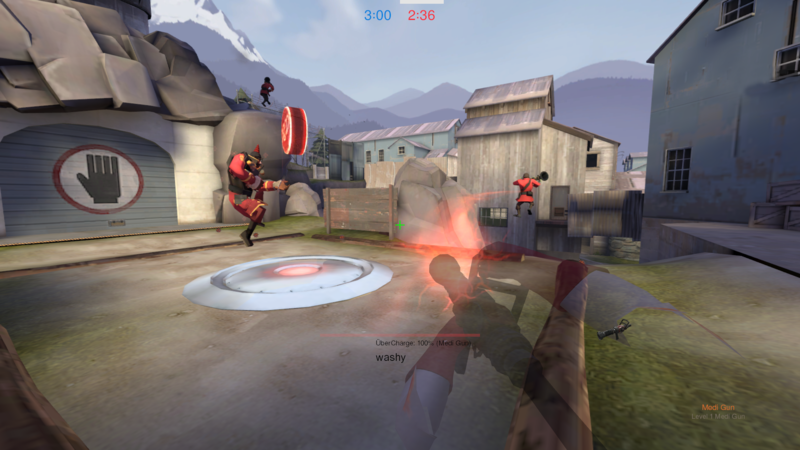 EDIT: Found out that there's an option in tf2 for disabling the items panel, so I just did that. Still need help on the other two things. 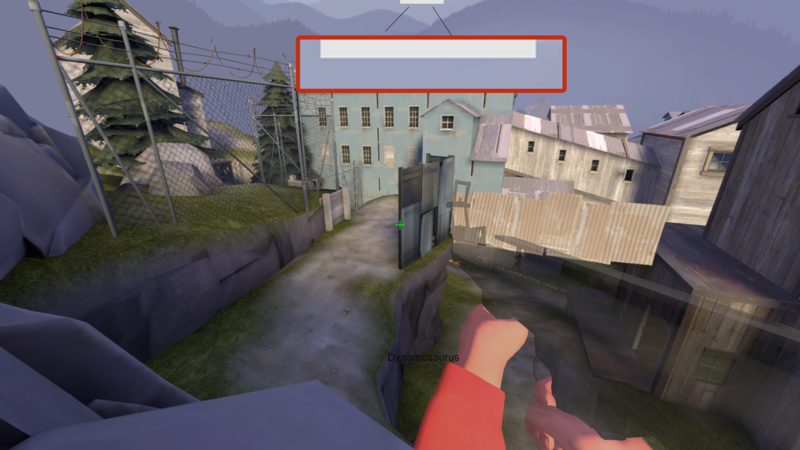 EDIT 2: Just noticed the bar that indicates who currently has the point on koth maps still shows up (http://i.imgur.com/jYFWjjI.png). How do I get rid of this? EDIT 3: Got it to work. Needed to change the x AND y pos of those things to get rid of them (like Luigi said earlier, so thanks to him as well). Thanks a bunch man. EDIT 4: Thanks Hergan, the koth thing worked! All set to go now. You guys rock. I've been trying for a while to animate the health numbers for the tournament spectator hud without any luck. This is my hudanimations_tf.txt and this my SpectatorTournamentGUIHealth.res. Basically, I want the health to go blue (especifically 61 171 255 255) when buffed and red (204 0 0 255) when hurt. I've playing around with the Health Bonus Pulse part -pasting "Animate PlayerStatusHealthValueSpecGUI..." on it and stuff- but I just can't make it work. I really have no idea what to do. This is my [url=http://pastebin.com/2dbSsu68]hudanimations_tf.txt[/url] and this my [url=http://pastebin.com/fvZXz8J3]SpectatorTournamentGUIHealth.res[/url].